Flowers blooming, bumblebees buzzing, lambs bounding, daylight lingering… Mother Nature is starting to reveal the signs of spring and Tatton Park will be joining her in unveiling many of its own secrets. Will you be the first to discover, the one to uncover, the “Secret Stories” of Tatton Park? In our Mansion, our busy butler has forgotten the secret code to the safe! Follow the trail through the Mansion with the help of Tatton’s butler, housekeeper and servants who will also be on hand to help visitors crack the six-digit code as they discover clues along the way. The final stop is the butler’s pantry to hand in your answers and hopefully open the safe to claim your chocolate treasure! Family activities will also be taking place in the amber bedroom and cellars. Children can also spot the homes of our undercover helpers in the Gardens – our residential fairies, pixies and elves! These magical creatures do their secret work at night helping our gardeners keep the gardens in tip-top shape. Will you be able to spot their homes in our 50-acre gardens to claim your secret chocolate treasure? Discover the people helping us at the Farm and the work they do behind the scenes. What does the sheep scanner, the vet, the cattle hoof trimmer and equine dentist do to help us look after our animals? Can you guess the secret object each use to help them? Which one of these characters is hiding the chocolate treasure and can you find it? Watch the secret miracle that’s happening in Tabitha, our Shire horse’s tummy. Dress up as a vet and step into the vet’s surgery. And let’s not forget our newly-born Easter lambs who will be skipping for joy to meet everyone! And there’s plenty more! Join in the laughter and fun in the Stableyard where Poz the magician will dazzle visitors with his secret slight of hand. One of the north’s best loved entertainers, Mr Bimbamboozle, returns with his Punch and Judy puppet theatre – does Joey the Clown have a box of secrets? Meet our storyteller as he weaves his tales about the people in Tatton’s history – it is up to you to decide if he is telling the truth or telling a tall tale! See smiling painted faces and sparkly arms covered in glitter tattoos. Sit the kids down to make some Easter-themed craft activities organized by our Learning team and, finally, dust off your dancing shoes at the kids’ disco (Parents, try not to embarrass your children if you dare to throw some shapes on the dance floor…). 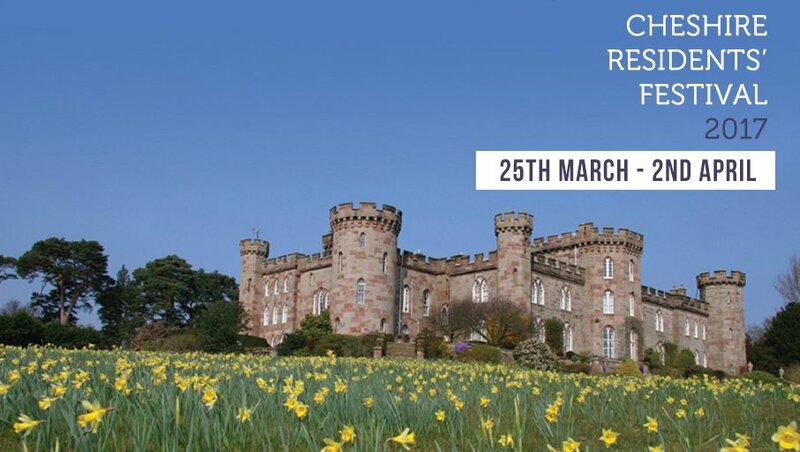 For the grown-ups, there is our popular Easter Shopping Fair which is free to enter. Take time to find unique gifts, crafts, fashion and home furnishings in our Tenants’ Hall. Nantwich Food Festival once again welcomes a top TV chef to its food theatre this September as the popular Cheshire event gears up for another record-breaking weekend. Last year’s festival attracted more than 40,000 visitors who enjoyed diverse food and drink offerings from 200 exhibitors, showcasing delicious recipes from across the country. Run by dedicated volunteers, the festival is supported by many local and regional companies, including marquee sponsors Mornflake Oats and Cheerbrook amongst others. Based entirely in the heart of Nantwich town centre, independent shops, historic buildings, music and street entertainment make the market town’s food festival one of the summer’s top attractions. This year’s headline chef is Candice Brown, the 2016 winner of BBC series The Great British Bake-Off. A lover of everything vintage, the stylish chef will delight fans with her passion for sumptuous, decadent food. There will be cookery demonstrations by celebrated chef Nigel Brown, and children’s television favourite Katy Ashcroft will entertain the crowds with her high-energy shows. Across the weekend there will be entertainment, exhibitions and demonstrations, offering something for everyone at this family-friendly celebration of food. Access to the Nantwich Food Festival is free, with a packed programme of events scheduled to take place from Friday 1 to Sunday 3 September. Members of Wistaston Jubilee Tennis Club organised a fund-raising activity on Saturday 18th March 2017 at their Club on Church Lane in Wistaston. They held a ‘Wistaston Red Nose Day’ doubles tennis tournament for Comic Relief http://www.comicrelief.com , in which players paid a donation to play. The winners were Rob Sheffield and Eric James who won all their sets. They received a trophy donated by Concorde Trophies in Crewe. There was also a fund-raising sweepstake. In total over £40 was raised for Comic Relief, which fund’s projects in the UK and worldwide. A representative from the Club said, "We would like to thank everyone who supported the event. 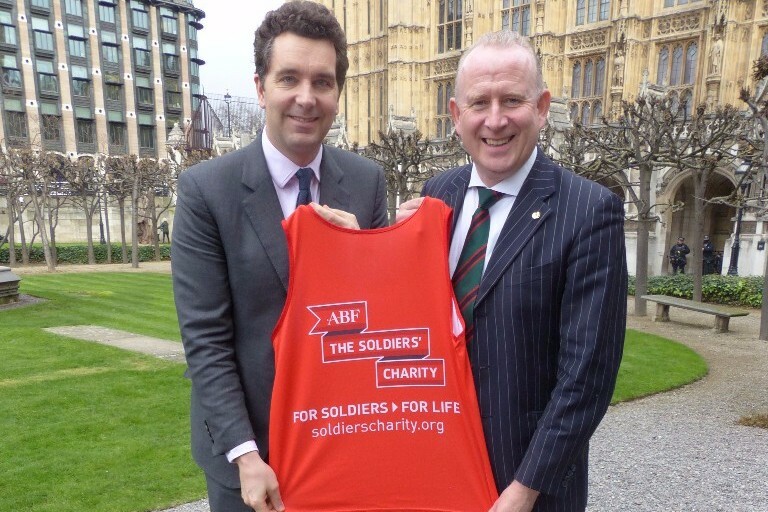 It was all for a very worthy cause”. encourage people to cycle and walk to work or to car share with colleagues. Eight local employers, including Bentley Motors and South Cheshire College, will share more than £30,000 as part of a council effort to cut congestion on the roads, ease car parking pressure and encourage more active forms of travel. Firms will use the funding for a range of improvements – including shower and changing facilities for cyclists, lockers or secure shelters for bike storage. South Cheshire College plans to use more than £4,000 to encourage staff and students to make the shift to walking or cycling. Another grant recipient, Alliance Disposables, will use the cash to set up a car sharing scheme for staff. The grants have been awarded by Travel Cheshire, a Cheshire East Council scheme funded by the Department of Transport, which was set up last year to promote walking, cycling and other forms of ‘active travel’. Financial Consulting Ltd, Leighton Hospital, The Country Group and Assurant. Last month, cash grants were awarded to two local community organisations, Christian Concern and Community Recycle Cycles, to help promote cycling in the town and boost skills and training locally. employment opportunities by promoting walking, cycling and public transport use. The project has also seen the creation of a new website – travelcheshire.co.uk – to help widen people’s travel options and encourage more active forms of transport. Infrastructure, said: “Local businesses in Crewe are keen to find ways to reduce car use – either for their employees or customers and we hope these grants will go some way to helping them to achieve that aim. deliveries to get through, and this can help ease pressure on parking space and reduce pollution. 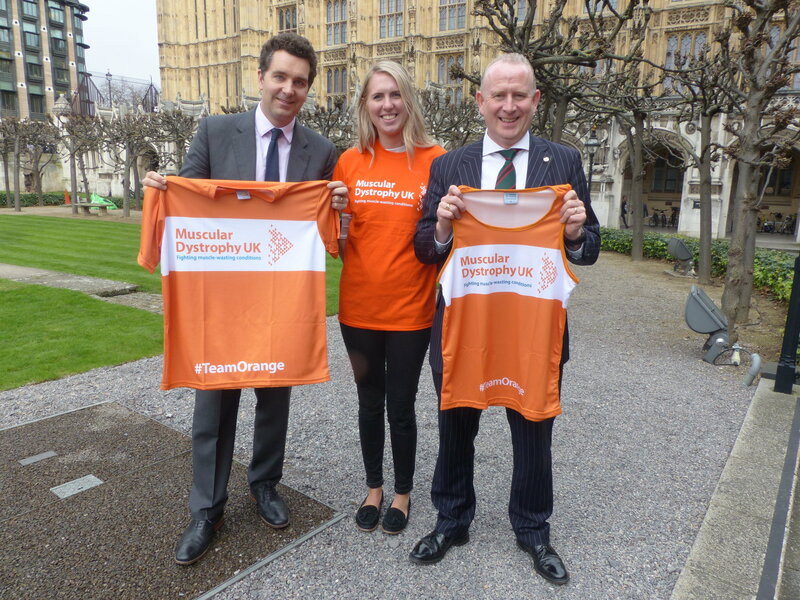 “But by encouraging staff to get on their bikes or walk to work there are other benefits. Staff get into work less stressed, and by getting some exercise and fresh air it sets you up for the working day ahead. network of key routes to connect residents and visitors to jobs, skills, schools services and leisure opportunities. Following the announcements about the proposed new HS2 hub station, Cheshire East Council – using a team led by international masterplanners Arup and property experts CBRE – is preparing a masterplan, which covers areas of prime development land in central Crewe. 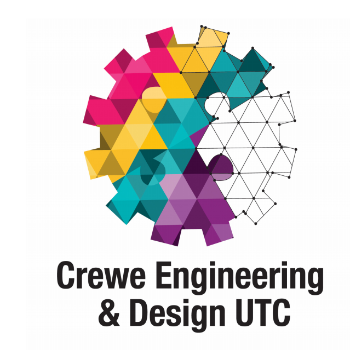 showcases new development opportunities and will underpin transformational change, supporting the creation of new jobs and making Crewe one of the UK’s key destinations for growth and investment. It will also deliver more homes to meet the needs of local people and employers, reflecting one of the prime locations at the heart of the UK and HS2 rail network. At the conference, Councillor Rachel Bailey, leader of Cheshire East Council, said: “The Crewe masterplan gives an insight into the future of the town. “The council is both a major investor and a major advocate for Cheshire East and it is right that the local authority commits time and resources to build market confidence and promote Cheshire East as a great place to be – and help deliver jobs, investment and greater opportunities for all our residents. Jackie Sadek, chairperson of the Constellation Partnership, formerly the Northern Gateway Development Zone Partnership, gave an overview of the connectivity HS2 will bring to the area, with strong governance, partnerships and a commitment to new physical and social infrastructure. At the launch of the Constellation Partnership, she said: “In little over a decade, Crewe will be the most connected place in the UK, with its high speed rail ‘super hub’ giving 360 degree connectivity, north and south, east and west, and in turn providing a massive and long-lasting boost to Cheshire and Staffordshire, as well as the north of England and Scotland. 'Ultra 90's' - http://www.ultra90s.com/ – performed for the first time in Crewe at the Crosville Club on Friday 17th March 2017. Ultra 90's are the UK's first and only 1990's dance tribute show. The band featured vocalists, a DJ, a keyboardist, a guitarist, and a drummer. Their set recreated songs by artists including Rozalla, Robert Miles, 2 Unlimited, Baby D, Prodigy, Fugees and Snap! The show was accompanied by a video projection and light & laser display. There was also a DJ set preceding and following the show. Crewe charity St. Paul’s Centre is holding a book launch on Friday 24 March, with free coffee and cakes also on offer at the centre’s new café on Hightown. The book, It’s Not About The Furniture, was written by the centre’s director Rob Wykes. It tells the story of the church on Hightown that became one of Crewe’s leading charities, supporting people across the town. Throughout the text, some of the many dedicated volunteers who have helped to shape the charity are profiled, plus uplifting stories about some of the people who have enjoyed support and work opportunities. The book is priced £10 and all profits will go back into the charity, helping to fund the cycle workshop, food bank and furniture distribution scheme. There will be an opportunity for visitors to tour the building to see what fantastic work is performed at the centre. The launch takes place at 12.30pm on Friday 24 March, in St Paul’s Centre café on Hightown. Details about the book and the centre can be found on the website www.stpaulscentre.org.uk. The plan would give the town of Alsager enviable and extensive sports and leisure facilities, alongside the provision of 400 new homes on the remainder of the MMU site. This follows a previous planning consent for the redevelopment of the campus. The developer has agreed to lay out new grass pitches, create two artificial pitches – for hockey and football - install floodlighting and fencing, construct a new pavilion, changing rooms and car park. The company will also make a financial contribution towards extending the existing gymnasium and the creation of two new health and fitness studios at the council’s nearby leisure centre. “The council is committed to providing quality leisure and sports facilities as part of our policy to help our residents to live long and healthy lives. A new pilot scheme trialled in Macclesfield has been a resounding success with community groups and has received cabinet approval to be expanded across the borough. Cheshire East Council is one of 23 authorities nationwide that has been piloting a scheme that focuses on exploring what works best for local communities and how to maximise the facilities that are available to bring groups together. The national pilot is called ‘delivering differently in neighbourhoods’ and Cheshire East has completed a highly successful trial following a year of activities in Macclesfield. At the heart of the approach has been one key objective – to deliver services at the right time, by the right people and at the right place, through facilities which are seen as facilities which are valued by local communities. The trial – which was funded through a central government grant – is expected to deliver a cost saving of more than £200,000 to residents in Cheshire East when it is successfully implemented over the next five years. Maggie Faulkner Taylor, Chief Officer for Cheshire Streetwise said: “We would love Elim Christian Life Centre to become a connected communities hub as our base is ideally placed in the town centre. “We have at least 500-600 people coming through Elim every week and we would like to provide more for them. Being a part of the connected communities scheme would give us the ability to move forward and improve the services we deliver for the people that we reach at the moment and enable us to have an even wider outreach. “I would like to thank everyone in Macclesfield who has been part of the project, particularly the many volunteers who do such fantastic work in their local communities making such a difference to so many people. Cheshire East Council is about to launch a public engagement exercise for two major road schemes for Crewe, ending frustration for motorists and unlocking further economic growth in the town. Plans to reshape the Crewe Green Roundabout to relieve a major pinch-point on the outskirts of Crewe will go before the public this month, alongside proposals for removing one of the town’s most frustrating bottlenecks – the Sydney Road Bridge. Cheshire East Council plans to replace the signal-controlled, single-lane road bridge with a bridge wide enough to accommodate two-way traffic and safer routes for cyclists and pedestrians. The scheme to relieve the daily congestion at Crewe Green is expected to begin early next year. The works to replace the Sydney Road Bridge have been coordinated to follow directly on from this. Both schemes will be subject to further consultation through the normal planning process. Crewe Green Roundabout, on the north-east side of the town between Crewe and Sandbach, is a key gateway to Crewe and is located within its northern growth corridor. It is currently a frustrating bottleneck for drivers heading to and from the M6 motorway. Enlarging the roundabout to enable direct access from Sydney Road and Hungerford Road, and removing signalling at other junctions, is intended to significantly improve traffic flow and provide safe crossing of the junction for cyclists and pedestrians. A public consultation took place last August and resulted in a preferred design which would see the existing roundabout significantly extended into an oval shape, with the addition of combined cycle/footways and the removal of existing traffic signals. Clearer lane directions and enhanced traffic management, including wider junctions, will contribute to improved traffic movement and reduced queueing. The council is also bringing much-needed relief to users of the Sydney Road Bridge, which has been single lane and signal controlled for many years. Safe routes for pedestrians and cyclists will be included in the scheme to replace the existing stretch of road with a two-way carriageway. This, together with the enhancement of the Crewe Green roundabout, will make a significant contribution to the future economic growth of Crewe as well as improving air quality and journey times for traffic and emergency vehicles heading to and from Leighton Hospital. Councillor David Brown, cabinet member for highways and infrastructure, said: “This council has made significant improvements to the road infrastructure around Crewe. The Crewe Green Roundabout and Sydney Road Bridge schemes represent the next phase in our highways strategy. The public engagement will start on March 20 and will run until midnight on April 9. An exhibition and printed literature will be available to view and both manual and digital feedback facilitated. 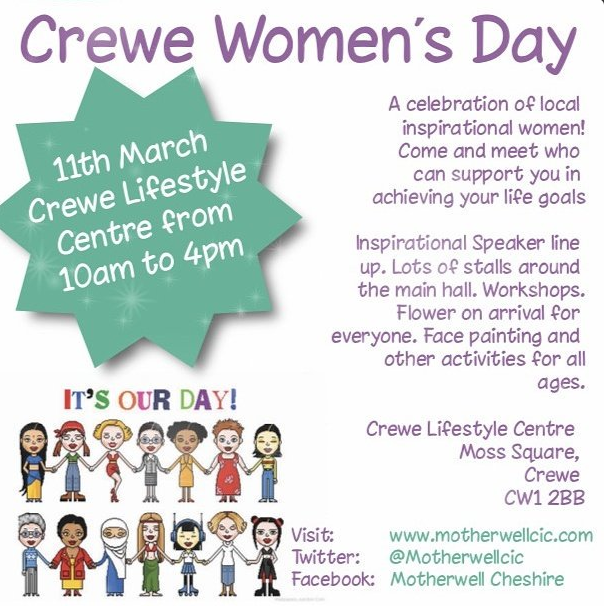 Leaflets on the schemes will be accessible at the Municipal Buildings, Crewe, Crewe Lifestyle Centre, Manchester Metropolitan University, Crewe Green Road campus, and at Leighton Hospital. The three-week public engagement exercise will also include opportunities to meet and discuss the proposals with the strategic highways team. 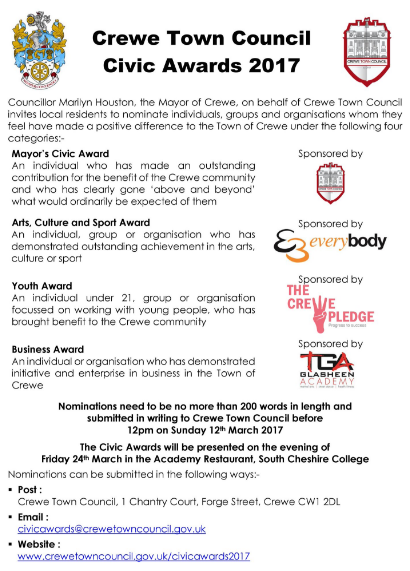 These will take place on March 25 (10am – 3pm) and March 30 (10am – 8pm) at Hunters Lodge, Sydney Road, Crewe. These will include both the Crewe Green Roundabout and Sydney Road Bridge schemes. A further event – for the Crewe Green Roundabout scheme only – will take place on April 1 (10am – 3pm) at Yoxall Village Hall, Crewe Road, Haslington. 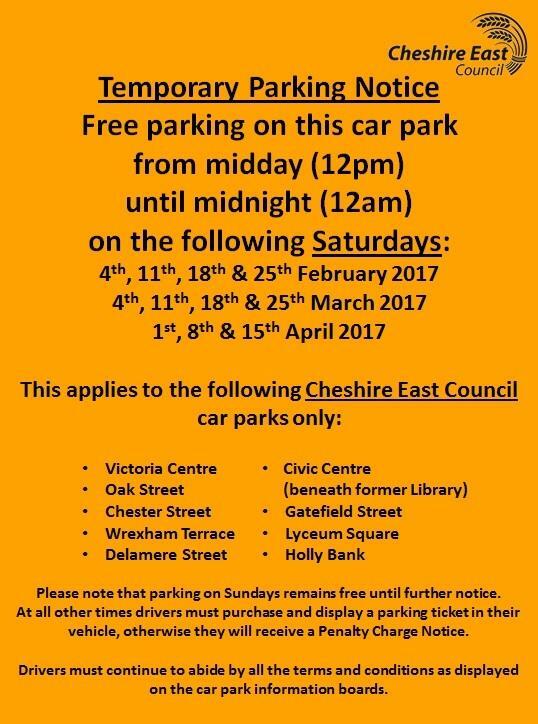 More information will be published on the Cheshire East Council web site. Cheshire East Council has launched its new mobile children’s centre – and they want to know your views on it. The vehicle, part of the council’s children and families’ service, will be launched at the Council’s Sandbach HQ on March 7 and then tour the south of the borough in a series of roadshows, visiting areas around Crewe, Nantwich, Middlewich, Sandbach and Alsager. The Council is inviting parents and families to drop in and find out more information about the service, take a look at the new vehicle and talk to the dedicated team. Children and young people are also invited to ‘road test’ its facilities. The mobile children’s centre has been launched with the aim of providing an additional way to access children’s centre services in rural areas in the south of Cheshire East. The service places a focus on providing help and support to families earlier – evidence shows that a child’s experiences in early years (0-4) has a major impact on their health and life chances, as children and adults. Research in early 2016 suggested that there was broad support for a mobile service, particularly among parents who had experience of accessing existing children’s centres. Councillor Liz Durham, cabinet member for children and families, said: “In a local authority with a very significant rural population, it is often difficult for some children and families to access services delivered from centralised buildings. 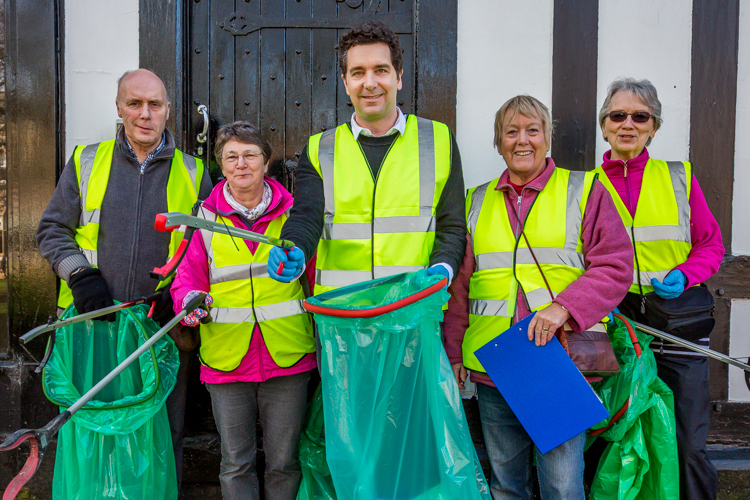 More than 20 community-led clean-up events took place across Cheshire East at the weekend in support of the Great British Spring Clean campaign. 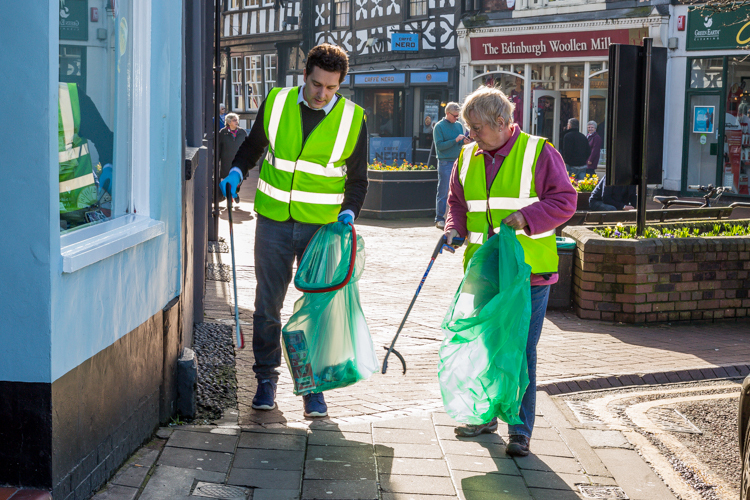 Coordinated by Keep Britain Tidy, the Great British Spring Clean is taking place throughout March and will see around 500,000 people clearing up the places they love to help rid the country of litter. The main weekend of action took place between March 3-5 and, in Cheshire East, a total of 22 events were held across Crewe, Nantwich, Sandbach, Alsager, Macclesfield, Wilmslow, Over Peover, Knutsford, Congleton, Moston, Disley, Bollington and Poynton. A number of schools, businesses and community groups were involved. On Saturday, Councillor Paul Bates, Cheshire East Council’s cabinet member for communities and health, joined members of Crewe Clean Team as they tackled littering along the length of Flag Lane. The community group organises regular communal litter picks, bulb planting and other related activities. Cllr Bates said: “Crewe Clean Team is one of the many community groups active within Cheshire East which are doing a great job in helping to tackle litter and keep our borough an attractive place to live, work and visit. “I was glad to be able to join the volunteers and help them to litter pick, as well as hear more about their valuable work. But it was also saddening to see just how much litter had been dumped. Clean team members were also given some of Cheshire East’s new ‘What Goes Where’ wheels, designed to educate residents about what materials they should and should not be putting into their black, silver and green/brown bins. The interactive and picture-led wheels, which are magnetic, will initially be distributed to residents living in six fly-tipping ‘hot spot’ zones in Crewe, who have been surveyed as part of an action plan to decrease the amount of waste illegally dumped on the town’s streets. Cllr Bates added: “I’d like to say ‘thank you’ to all those who took part in events across Cheshire East in support of the Great British Spring Clean. “I’d also like to encourage even more residents, community groups and businesses to get involved in cleaning up their local area throughout the month. There are sleepless nights ahead for the farm staff at Tatton Park as the much-loved farm in Cheshire East heads into lambing season. How do staff members wind down after a long night-watch? By counting sheep of course! In total, 32 farm ewes are due to lamb and the farm staff are expecting (hooves crossed!) 7 single lambs, 21 sets of twins and even 4 sets of triplets between now and the middle of April. In addition to the farm’s mainly Suffolk cross flock, there are also two rare breed Leicester Longwool ewes expecting 3 lambs between them. The Leicester Longwools are considered ‘vulnerable’ on the Rare Breeds Survival Trust’s watch-list and so the addition of potentially more females to Tatton’s farm flock is very special. Aside from the “stars of the show,” there are also shire horses, pigs, donkeys, cows and more for children to view as well as an outdoor den-building area. Farm open Easter Half-Term everyday Sat April 8th – Easter Mon April 17th (closed Mon April 10th) 12pm-5pm; last entry 4pm. Admission charges: Adult £7, Child £5 (4-15 years), Children aged 3 and under are free, Family £19 (two adults + three children). Totally Tatton Tickets: entry to Farm, Gardens and Mansion: Adult £13, Child £7, Family £33 (two adults + three children). National Trust members pay 50 per cent entry to the Farm. Park entry charge of £6 per car or mini-bus applies and includes NT members. Walkers and cyclists can enter Tatton Park free of charge. Following a number of incidents of anti-social behaviour in and around Broad Street, Crewe we have increased our patrols in this area. We are encouraging residents who would prefer to remain anonymous to call Crimestoppers confidentially on 0800 555 111 to report any such activity. Cheshire East Council has worked with the borough’s schools to offer first preference places for more than 93 per cent of secondary school applicants this year. This is 9.63 per cent better than the 2016 national average of 84.1 per cent. In total, 97.73 per cent of Cheshire East residents are being offered a place at a school of their choice for September 2017. The number of applications received for school places in Cheshire East remains high in 2017, with a total of 4,866 applications. These included 3,877 from Cheshire East residents. Due to a high number of applications in the north of the borough, a decision was taken to request admission to some schools above the published admission number to ensure that local children could be offered a school place within a reasonable distance. The local authority will make additional resources available to schools to meet the needs of children following the ‘accept and decline’ process. For other schools, the decision to admit above the published admission number was made on the basis that the school had existing accommodation that could be used or that class organisation allowed for the admission of more children for this year. Councillor Liz Durham, Cheshire East Council cabinet member for children and families, said: “Our schools in Cheshire East have a well-deserved reputation for excellence, with 95.1 per cent rated good or outstanding by Ofsted. This leads to a significant number of applications from outside the borough. Councillor Rachel Bailey, leader of Cheshire East Council, said: “To be able to say to such a high proportion of parents that they have been given their first choice of school for their child is further recognition of our first-class education service in Cheshire East. I believe our team have reached this phenomenal achievement in a challenging landscape. The local authority is in the process of reviewing school capacity across the borough, due to housing developments and the increasing demand for places in some areas. Details of any proposals will be published on the admissions website. Sandbach Flashes a 70 year OAP was today was physically assaulted by the owner of the car below. The man threatened he would be killed and his family hurt if he returned to the flashes . The man openly admitted a few days earlier in front of witness he had put a trap on top of a badger sett in the area which he claimed was for squirrels. It is a criminal offence to interfere with a badger sett and even if it was for squirrels there is no excuse for birders killing them just because they eat the birds pea nuts. Cheshire has a badger group who inspect and protect all badger setts and they found it and its believed it was removed by the Police last year. In very recant days badger baiting has been seen in the area and a dead badger has been found close to the site. The birder had a go at the OAP last week and a field officer from the badger group who was checking for any illegal activity felt very threatened by birders at the site. If other birders are party to these traps they can be found guilty of criminal offence under the Badger Act. To offer this level of violence it would suggest that something illegal is going on you expect birders to respect all wildlife not murdering any wildlife who are just trying to feed themselves. To threaten an OAP is the lowest of the low I wonder if they would do the same to a young body builder or is it just OAPS. The question remains are visitors safe or will they suffer similar violence. The site is all on public property and not owned by the birders so its open to anyone to see the wildlife its a SSSI site and should be promoting wildlife not killing it. The badger group will step up checks in light of the incidents and the dead badger and police and RSPCA are working with the group to protect badgers and other wildlife they can put markers on the cars which will be flagged if they are seen close to any setts . Businesses are being urged to attend a briefing which provides information on changes to environmental legislation and rules on business standards. The breakfast briefing at South Cheshire College, at 8am on March 28, will include top tips to help businesses avoid costly fines for failing to meet key legal requirements. With Brexit presenting businesses with a host of opportunities and challenges, the event will help companies ensure they remain competitive and comply with important changes to the ISO 9001 and 14001 standards demanded by customers for quality and environmental management. As well as the free-to-attend event, businesses can receive free business support before the end of March, to help identify energy-saving and other resource-reducing opportunities. Cheshire East companies that have benefited in the past through similar programmes include Holmes Chapel-based Fine Décor, which saved more than £500,000 and Nantwich-based haulage company GA Newsome, which saved £81,000. The council’s environmental business support programme is managed by its arms-length Skills and Growth Company in partnership with Groundwork Cheshire. Commuters are being urged to swap four wheels for two and take part in a week-long competition to promote cycling to work. Ride to Work week runs from March 13-19 and offers cyclists in Cheshire East a chance to win fantastic prizes – including top of the range bike gear and a cycling holiday to Cuba. Cyclists who regularly cycle to work can take part, as well as new riders who want to try cycling for their daily commute. Local employers, including Bentley Motors, AstraZeneca, South Cheshire College and Cheshire East Council, have already signed up to take part in Ride to Work week, with staff logging their bike journeys via the Love to Ride website. Everyone who signs up is entered into a daily prize draw and there’s a chance to track your progress against colleagues and other employers online. The friendly competition is being backed by Travel Cheshire, a Cheshire East Council project set up to promote ‘active travel’ across the borough, including cycling and walking. infrastructure, said: “Cycling to work has lots of benefits and by taking part in Ride to Work week, you can see for yourself why getting to work by bike is a great option. “By swapping the car for the bike, you’ll be healthier, happier and wealthier. It’s a great way to get a daily dose of exercise; it can set you up for a productive day at work and can save you money. Prizes include brand new bikes, bike luggage from recycling company UPSO, and a cycling holiday to Cuba from Exodus Travel. Cheshire East cyclists will also have a chance to win a new bike courtesy of Crewe’s Community Recycle Cycles. Cheshire East Council’s award-winning company Ansa is in discussions with two other authorities to create a new joint venture partnership to deliver waste collection and other environmental services. Staffordshire Moorlands and High Peak councils have agreed with Ansa the principle of establishing a subsidiary company to carry out waste collections, street cleansing, grounds maintenance and fleet management for the two authorities. Waste disposal will remain the responsibility of both Staffordshire and Derbyshire County Councils. The new venture aims to save Staffordshire Moorlands and High Peak councils more than £1m over the lifetime of the arrangement on their combined budget of more than £8m. The joint venture partnership will be a stand-alone arrangement and will utilise existing facilities and resources currently available within High Peak and Staffordshire Moorlands, with all existing employees transferred to the new partnership arrangement. The proposal will not affect the current contract between Ansa and Cheshire East Council, meaning that environmental services will continue as normal. Discussions have been taking place between Ansa and both councils over a number of weeks and changes in the management of services will be introduced through a phased approach over the next 18 months. Both authorities are keen to maintain and improve – where possible – their strong recycling rates, and have commissioned Ansa to achieve this while also aiming to improve the overall performance of their existing environmental services. The Cheshire East company has transformed recycling rates in the borough to make the authority one of the best-performing authorities in the country. Fifty-five per cent of the 183,000 tonnes of household waste collected – above the national average – is recycled, 17 per cent is processed into energy renewal with only 28 per cent going to landfill. Last year residents’ feedback on council services gave Ansa a 90 per cent public satisfaction rate for waste collection. It was a finalist in the national recycling awards and retained the Rospa gold award for health and safety training. Cllr John Hammond, chairman of Ansa, said: “This arrangement is a glowing reflection on the reputation of Ansa as a company that seeks to achieve the highest standards of service for its commissioning authorities and for council taxpayers in all three boroughs. Cheshire East Council is to invest a further £10m in highway improvements over the coming year. The council’s approved budget for 2017/18 secured this highway investment programme to continue work to improve the condition of Cheshire East’s roads. The borough’s highways are the council’s biggest material asset, valued at £5 billion. An additional £35m of council investment has been spent on road improvements over the last three years, with reports of road defects reducing from 17,000 in 2012/13 to just over 4,000 in 2015/16. Councillor David Brown, deputy leader of Cheshire East Council and cabinet member for highways and infrastructure, said: “We are committed to continue to utilise available budgets to ensure the right road treatment is planned, in the right location and done at the right time. The council is on track to qualify for further government ‘incentive funding’ worth £870,000, with the potential for increased funding in 2018/19, maximising highways money from central government. The council’s highways online reporting ‘tools’ can also be found on this web page, which can be used to report and track any highways issues. You can also phone Cheshire East highways on 0300 123 5020.